Following her previous look, Beyonce is back on her style ish. To posted another look to her instagram page this evening(January 31st) from another outing. 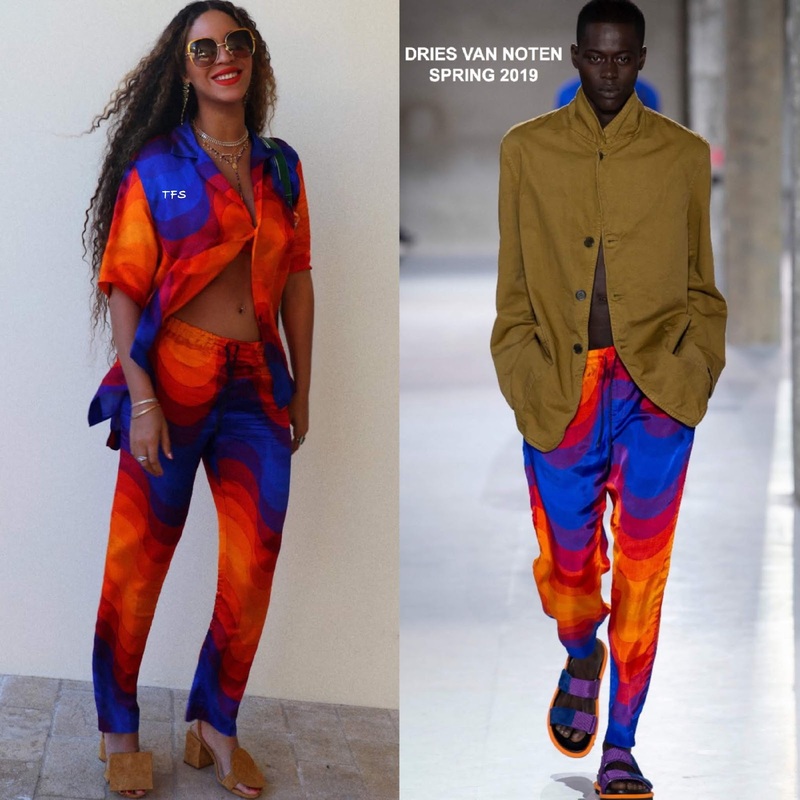 She posed for the gram rocking a DRIES VAN NOTEN SPRING 2019 menswear color-block wavy silk top and the matching drawstring pants. I really like her look and this collection because of it's playful prints and vibrant hue. You may remember that Cate Blanchett wore a suit from this collection in November 2018 in the same print but different hue. Her look was topped off with her signature natural curls, red lips, retro inspired sunglasses, gold jewelry, and the JACQUEMUS RESORT 2016 sandals. Are you feeling Bey's instagram style?